Tiger Shroff, the Star actor and performer of the film "Heropanti" is all set to come up with his two new releases "Baaghi: A Rebel For Love" and "Flying Jat" next year ( 2016 ). His latest release in Ahmed Khan's music video "Zindagi aa Raha hoon" along with Atif Aslam has already grabbed several hearts where he showed some extraordinary, stunning and flawless moves which are hard to be believed by eyes even after seeing. He is aspired by his father's Struggle and 35 years of long journey in Bollywood. He is very desperate to make his father proud of him. Tiger is very good friend of Sooraj Pancholi and also are gym buddies. They used to go there together and passes their hard schedule of exercises by motivating each other. They even hang out with each other outside also. 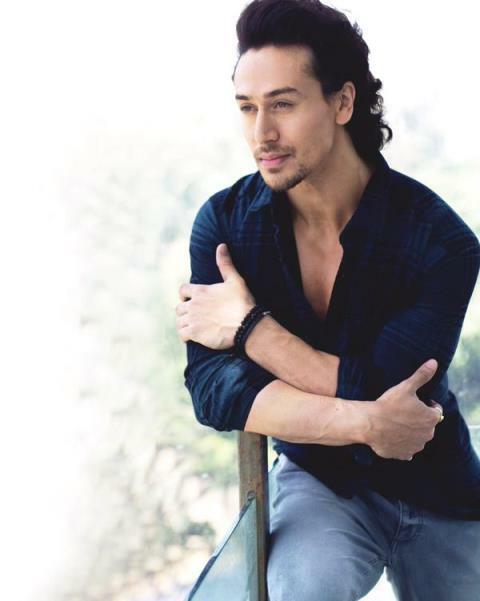 Tiger was born on 02-03-1990 in Mumbai ( Maharashtra, India ) to Jackie and Ayesha Shroff. His three years younger sister name is Krishna whom he loves very much. His grandfather was a Gujarati Astrologer whose name was Kakubhai Shroff. Rita Shroff, an ethnic Turk was his grandmother. His maternal grandfather was Air Vice-Marshal Ranjan Dutt, a Bengali, married to a Belgian countess, Claude-Marie de Cavey. Tiger completed his schooling from American School of Bombay. Since the age of 4, he is in the practice of Martial arts. He was very fond of Football and wanted to be a Football player at that time but his destiny leads him to become an actor finally. Tiger is a 5th-degree Black belt in Taekwondo and bestowed by Kukkiwon-World Taekwondo Headquarters. He is believed to be a Youth icon who inspires them to learn Martial Arts for their self-defence. Directed by Remo D'Souza, Tiger and Jacqueline Fernandez will be seen as a Punjabi Superhero and a Bharatanatyam dancer soon as revealed by the trusted sources. The film is a complete dance masala ( Spice ) and viewers will definitely enjoy it. In breakfast, Tiger used to take 8 eggs with bread ( White ) and oatmeal followed by dry fruits and brown rice with boiled vegetables in lunch. Dinner usually occupies with Protein Shakes, fish and Broccoli as per sources. He never misses hitting Gym in evenings. In accordance to sources, Tiger was having an affair with the Kingfisher calendar girl Angela Johnson which was denied later by him. Tiger says that he never seen her before and also have no courage to propose a girl to tell his feelings. He also fears to get rejected.